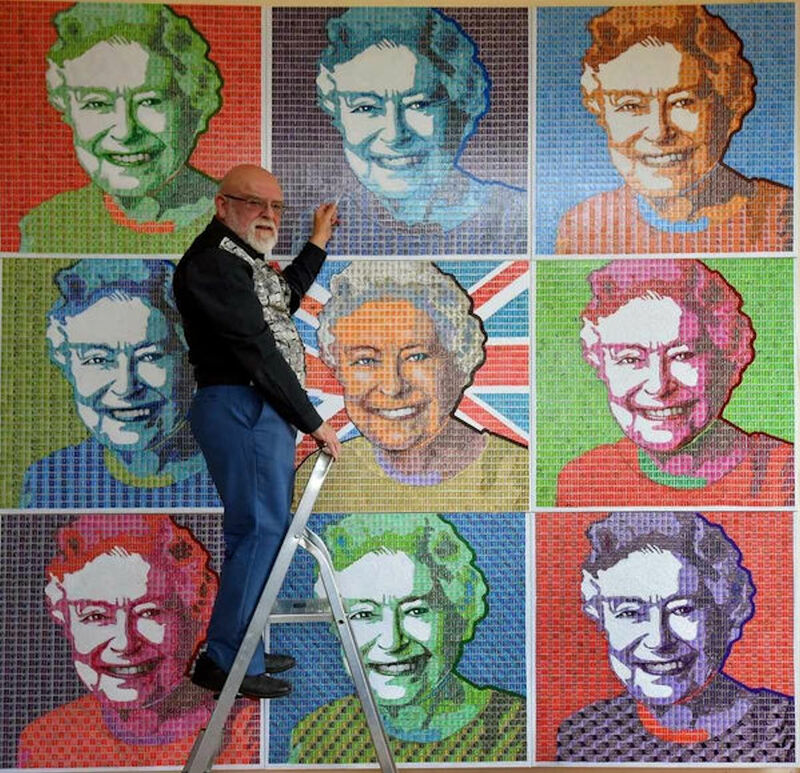 Pete produces art works from thousands of used postage stamps. 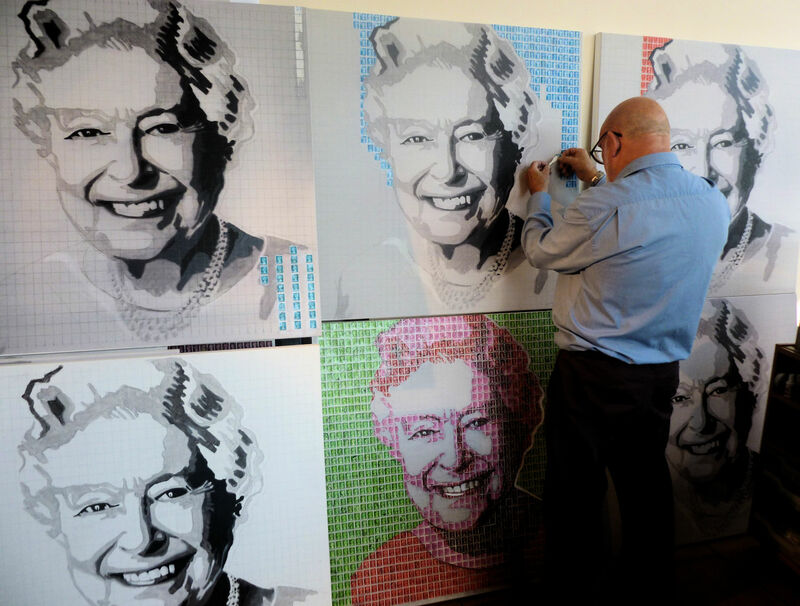 The largest pieces use as many as 30,000 recycled postage stamps while the more typical 4′ x 3′ or 3’ x 3’ canvases use between 3500 and 4000. 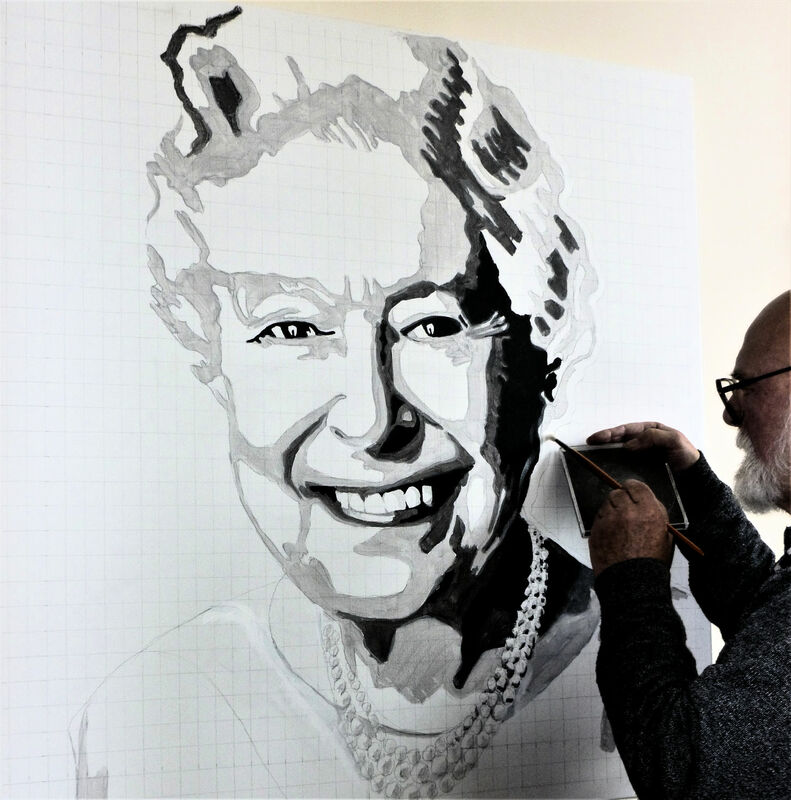 Each picture begins with a detailed drawing and then the image is transferred to canvas or other backing material. He divides the working surface into stamp sized rectangles, but often uses more than one stamp per grid section. Stamps are sorted by colour, design and postmark pattern. He then begins the process of finding appropriate stamps before cutting and shaping them and finally sticking them to the surface. 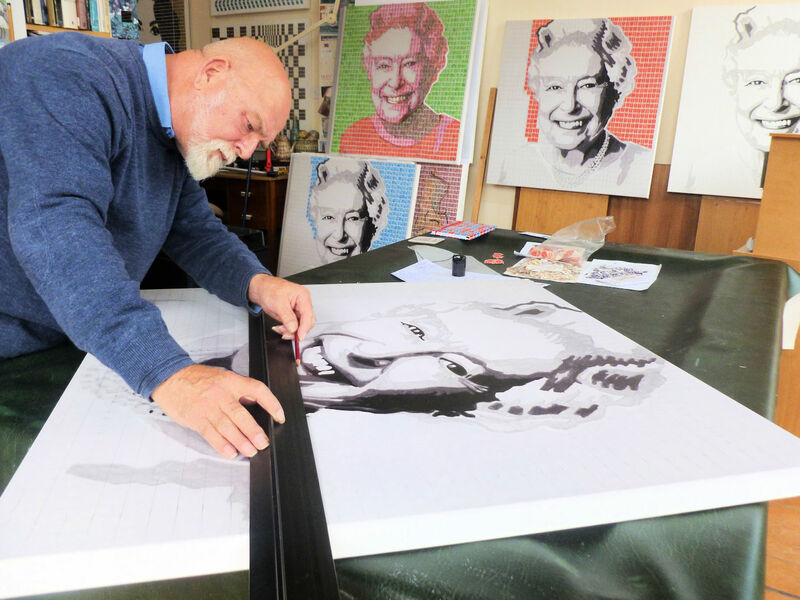 This is how he achieves the striking resemblances and shapes in the portraits, landscapes and tributes he creates. He is often asked how many stamps are needed for a particular work. The answer is many thousands. Each stamp has to be soaked to remove the envelope backing, dried and sorted into colours and then individually glued in place. The stamps are obtained from several different sources, friends, colleagues, students and family contribute but most are obtained from Court Philatelics in Leighton Buzzard who are happy to supply those interested in the creative use of postage stamps, ‘on’ paper (still on envelopes or backing) or ‘off’ paper, some of which are in mint condition.